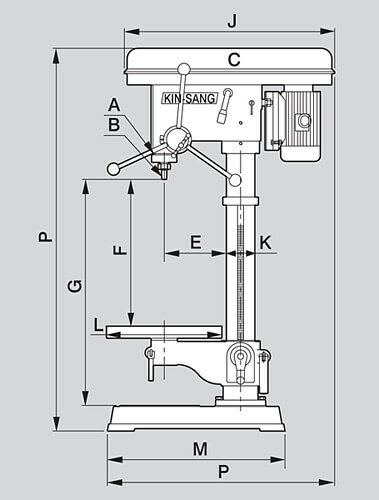 High Precision Drilling Machine - HSIN GEELI HARDWARE ENTERPRISE CO., LTD.
○ Fast feed. Accurate drilling depth & minimum noise. ○ The machine is manufactured from high quality cast iron (FC 25), featuring maximum durability and wear resistance. ○ The quill is manufactured from ductile iron with high oil content for maximum wear resistance.